I’m not one to remark on the content of other people’s shopping trolleys, but I do have a good gawk and comment (often snidely) to myself in my head. So when a lady quipped ‘oh, I see you like Jamie Oliver’ in the supermarket queue recently, I felt I had to defend myself. It’s not that I don’t like Jamie Oliver – I do – but I’m not generally keen on buying celebrity-endorsed products. So why was his face staring up at me from my fish fingers box? Purely because Jamie’s range (in partnership with Young’s) were the only ones that weren’t made from cod or haddock. This was a few weeks ago in a rather large Tesco. 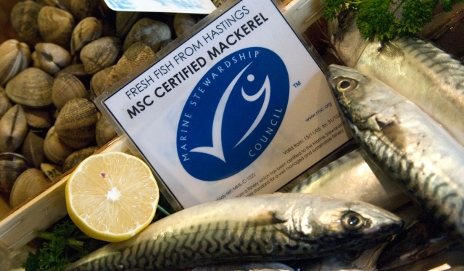 So I was somewhat surprised, albeit pleasantly, to hear that the number of fish and seafood products certified as sustainable by the Marine Stewardship Council (MSC) has shot up by 41% in the UK over the last year. In real numbers, there were 200 certified products in 2008, 701 in 2010 and 988 at the end of 2011. Globally there are over 13,000. While my daughter’s pollock fish fingers were hard to come by, I have noticed the MSC’s blue tick logo becoming more ubiquitous. A few years ago we were limited to buying sustainable fish in pre-wrapped plastic boxes – not only more harm to the environment but often more expensive too. Nowadays, there’s often a good selection of fish at the counter carrying the logo, providing better choice and value. And yet, five species of fish still make up 75% of UK fish consumption. No prizes for guessing what’s on the list: cod, haddock, salmon, tuna and prawns. 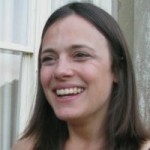 Is this a bad thing – and if so, where are we going wrong? My guess is that these latest figures are only a part of the story. Yes, it’s great to see many more MSC-certified products, but they have to be widely available, easy to source and suit different shoppers’ needs. I can’t imagine everyone would pay extra for Jamie Oliver’s fish fingers if there were no own-brand pollock ones on sale. Then there’s the fact that many of those top five fish get MSC certified – I often buy ‘sustainable’ salmon, tuna and haddock – but just how sustainable is it? Does looking for the label alone mean we can continue eating our favourite fish conscience-free? We’ve clearly come a long way in terms of availability and awareness, but I don’t think the sustainable fish fight is over. One thing comes to mind: I wonder if we can rely on MSC-certified fish to be sustainable much more than we can rely on FSC-certified wood to be from responsible sources, the subject of another convo. I don’t think either fight is over, far from it.